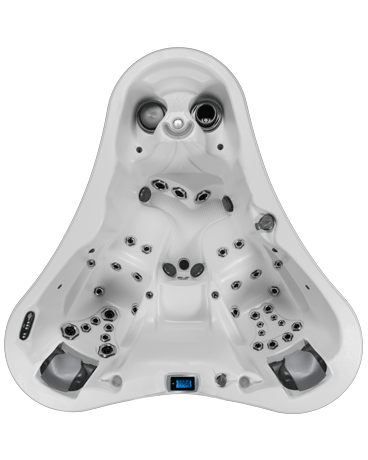 The Dupree Bay® is the ultimate two-seat high performance spa. Featuring 42 healing jets this exquisite gem is an intimate two person oasis in your backyard. Both "his and her" seats offer the patented Flex Therapy Pillow system allowing the user to customize their soak with 3 adjustable neck and shoulder jets and with the UltraPURE Plus™ water management sysytem you can have peace of mind with crystal clear water at all times.